How are your funambulism skills? "Integration can be a risky process, to the extent you may feel you are walking a tightrope." 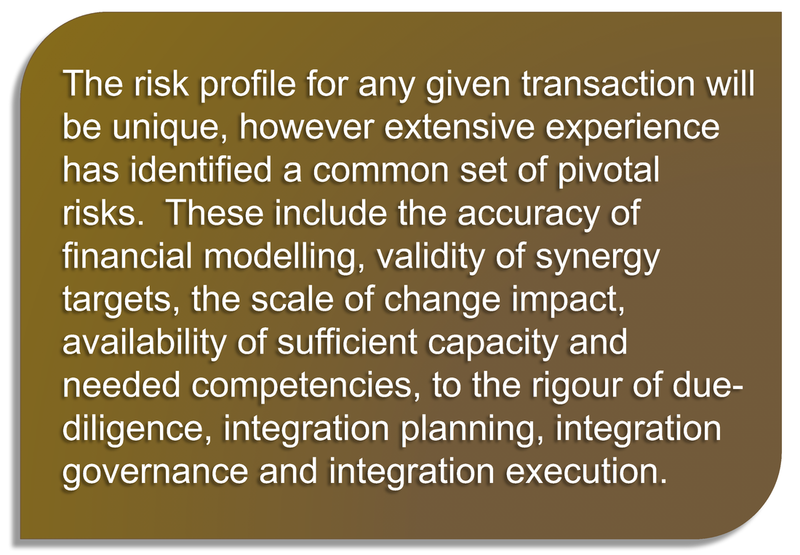 These risks collectively create a 'success tightrope' that straddles the full end-to-end transaction lifecycle. Also, the higher the volume and magnitude of residual risks, the more likely a 'wobble' will end-up in a fall. 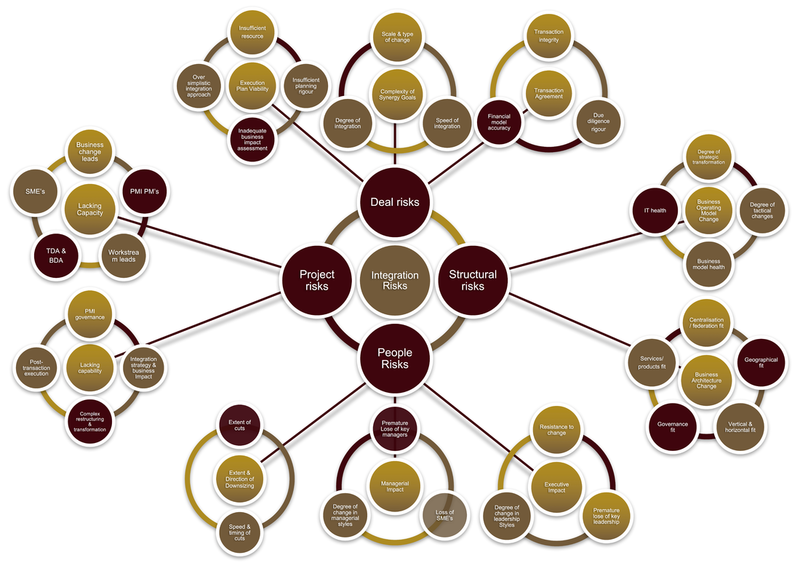 What is clear is that, risk mitigation strategies require a wide-range of competencies and exceptional skills levels. Any significant gaps, will most certainly yield critical residual risk exposure and predicate the transaction outcome. As such, it is essential these vulnerabilities are surfaced and addressed before its too late. This is where ​​independent transaction assurance proves invaluable; Not only to the less active acquirer, but also those already dissatisfied with historical transaction performance.